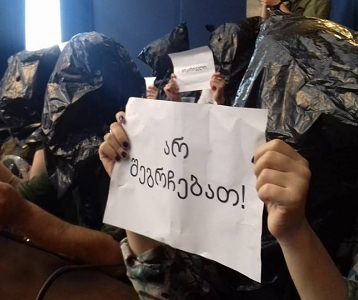 TBILISI, DFWatch–A rally is underway in the center of Tbilisi to show solidarity with Rustavi 2, as a decision is expected in the Supreme Court that could change its ownership, and – according to supporters of the TV company – bring its criticism of the government to a halt. 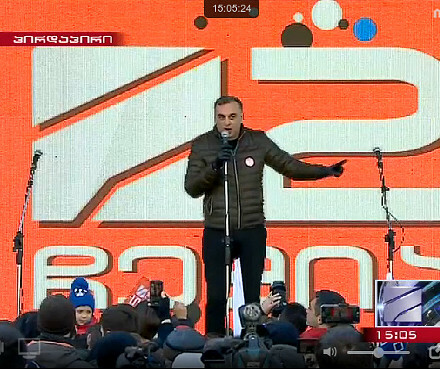 Some of the most famous Rustavi 2 faces were on stage in front of parliament as the channel resumed its broadcast, with a large crowd cheering and waving posters. 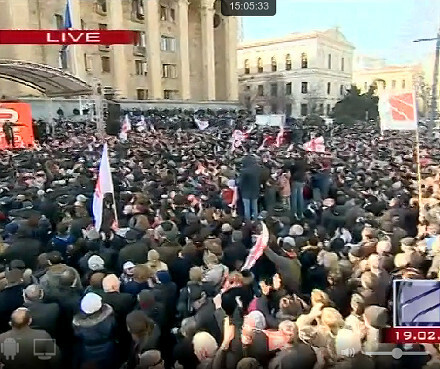 Broadcasting was interrupted on Friday with only a banner announcing the time and place of the the rally. The management was also present today on Rustaveli Avenue, as were activists for the former ruling party, the National Movement. 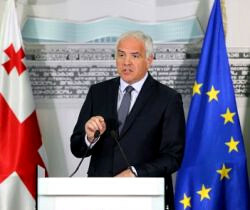 The rally is attended by members of the party’s splinter group, as well as journalists from other media and representatives of civic groups and NGOs. The number of participants is hard to determine as this has always been a controversial issue during all rallies held in Georgia. 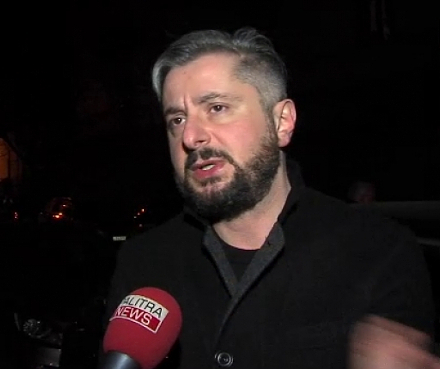 UNM claims there are up 30,000 present on Rustaveli Ave. However, this figure seems exaggerated. The true number may be in the thousands. 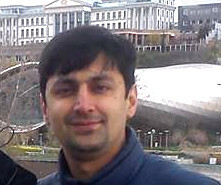 Rustavi 2 has been considered a supporter of and supported by the National Movement (UNM). However, many deem it is important critical voice in the country, in part in light of its large audience, but especially because other large news channels have gradually become more muted in their criticism toward the government. The rally is being held today because the management of Rustavi 2 believe that the Supreme Court will soon issue its final decision. 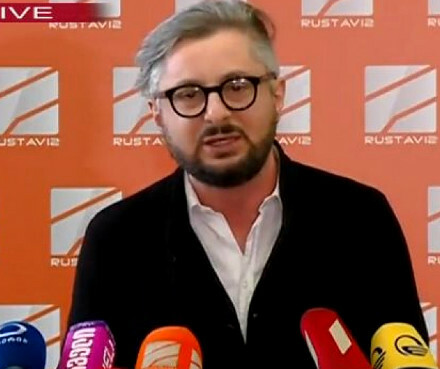 If they lose the lawsuit, ownership might change and Rustavi 2’s management may have to change its editorial policy, they argue.